As we have discussed in previous posts (Today’s Windows Offer Much More Than Meets The Eye!, 5 Tips For Selecting Replacement Windows, 3 Great Benefits of Vinyl Replacement Windows, The Pinnacle of Excellence in Replacement Windows) when it is time for San Francisco and Bay area residents to replace their low energy efficient windows, Armstrong always recommends considering the energy efficiency of their replacement windows. There are a number of important reasons, why it’s beneficial for you to install high-quality energy efficient window rather than lower-cost and less energy efficient replacement windows. Windows are a great source of light and ventilation, as well as an aesthetic feature that can increase your home’s curb appeal. However, because windows typically consist of 15-20% of your home’s exterior surface area, they are also an important factor with respect to your heating and cooling costs. It’s a fact that windows tend to gain more heat in summer and lose more heat in winter than any other surface in your home. Even if your home’s walls are extremely well insulated, but your windows have poor energy efficiency, the amount of heat that enters or escapes from your windows defeats the purpose of having well-insulated walls. 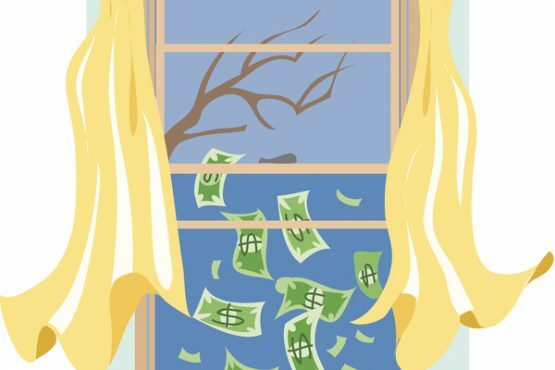 According to the U.S. Department of Energy, windows account for 25-40% of our annual heating and cooling costs. What’s more, researchers at Penn State University’s College of Earth and Mineral Sciences have found that in 1990 25% of all the energy used for heating and cooling our homes and businesses was the result of unwanted heat losses and gains through windows! Therefore, if we replace our existing windows with more energy efficient ones, it is possible to reduce this unwanted heat loss and gain, thereby saving significantly on our energy costs. High-quality energy efficient replacement windows will not only reduce your cooling and heating bills but may also enable you to install smaller heating and cooling systems which cost less. This is possible since the size of these systems (e.g. furnace, heat pump, air conditioner, and fans) is determined by the peak heating and cooling loads. Highly energy efficient replacement windows can reduce the peak load and therefore influence the size of your HVAC systems. The comfort of your home can also be improved by installing energy efficient replacement windows. In winter, the interior window temperature is higher which reduces the cold feeling we get when heat is radiated from our bodies to a cold window. In addition, the uncomfortable drafts of air we experience next to a window when the air is cooled and drops to the floor are also significantly reduced. During the summer months, solar radiation which comes through our windows can also be reduced. By doing so, the overheating and discomfort is also reduced. To achieve this, your windows need to be double pane with low-E-glass and argon gas. These features reduce heat gain but enable sufficient light to pass through. Additionally, if your windows have glass which is coated with UV absorbers, you’ll not only have a more comfortable home interior but you will also protect carpets, fabrics, artwork, furniture, and paint from fading. Energy efficient replacement windows can reduce frost and condensation because the interior glass surfaces of these windows remain warmer than conventional windows during cold weather. As we have discussed in an earlier article, low-conductance spacers used in energy efficient windows can reduce significantly that 80% of the energy which is lost at the edge of the glass due to the highly conductive nature of aluminum spacers found in less energy efficient replacement windows. Furthermore, since multiple-glazed windows with low-E coating and argon gas have an extremely low center-of-glass U-factor, meaning that heat flow resistance is very high, there is a greatly reduced possibility of having condensation on the center of the glass. At Armstrong Windows, we provide our San Francisco and Bay area customers with high-performance windows which are highly energy efficient, durable and are constructed to last a lifetime. As always, all our products are covered by the best warranties in the industry. Our replacement windows can carry up to a limited lifetime manufacturer’s warranty, just like the Infinity® from Marvin Replacement Windows exclusively by Armstrong. Contact us today for a free quote or to arrange a free consultation with our Home Improvement Specialists.